It’s a feast of leftovers at my house, after hosting a Thai food party on Saturday evening (I’m kicking myself for forgetting to take pictures!). I was so worried there wouldn’t be enough food that I sort of completely overdid it. I made 100 Thai fish cakes, 100 skewers of chicken satay, a large mound of papaya salad and a vat of vegetarian green curry. And that was for 15 skinny women. On top of that, a friend of mine brought two rice noodle dishes, one cold and the other warm. Plus, another made Thai coconut and mango sticky rice. In my defense, I had a handful of moms who at the last minute couldn’t make it. 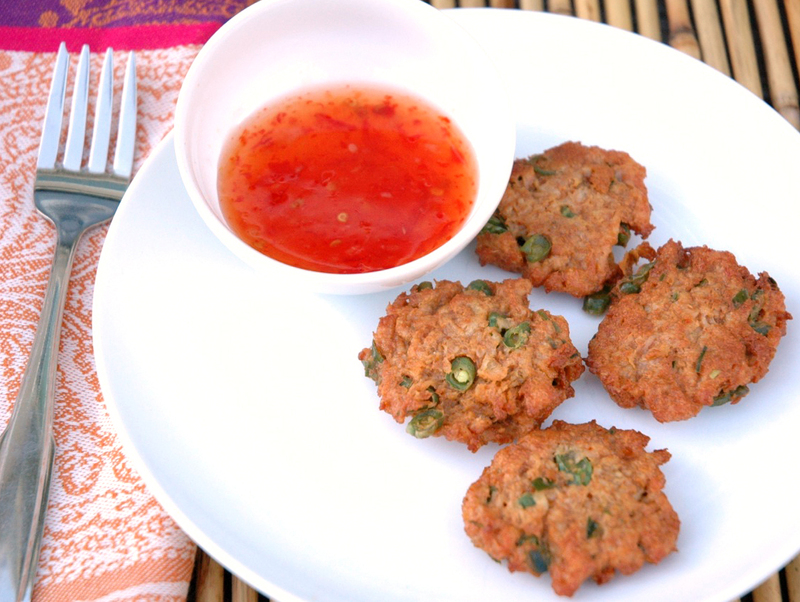 My kids love Thai fish cakes, especially after dipping them in a sweet chili sauce. It’s a good thing they dig them, because in addition to having them for dinner and snack time, they’re also showing up in S’s lunch today. Fish cakes are one of the very few foods I deep fry. But they’re so quintessentially Thai and so delicious that I give myself a get-out-of-jail pass for serving them to my kids. And I make them only once or twice a year. The secret to a good fish cake is using kaffir lime leaves. I like to throw in a few extras for extra flavor, and I use a very generous tablespoon of red curry paste. 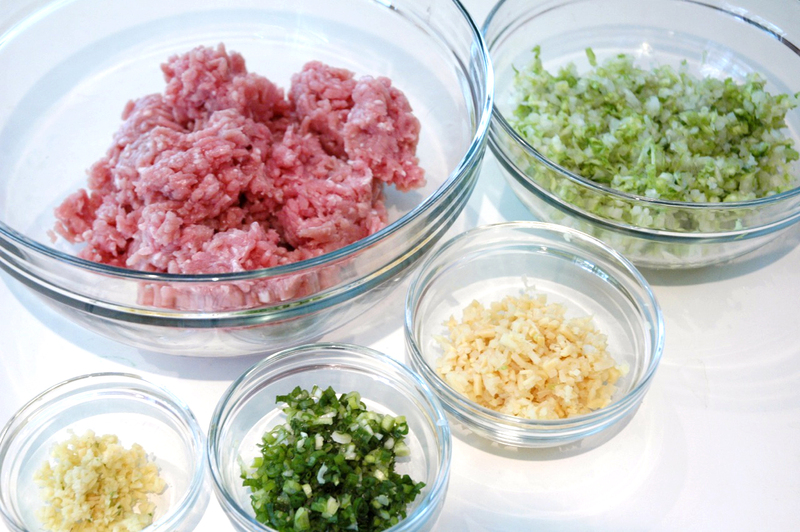 Then, I also add some minced lemongrass, even though the recipe below doesn’t call for it. 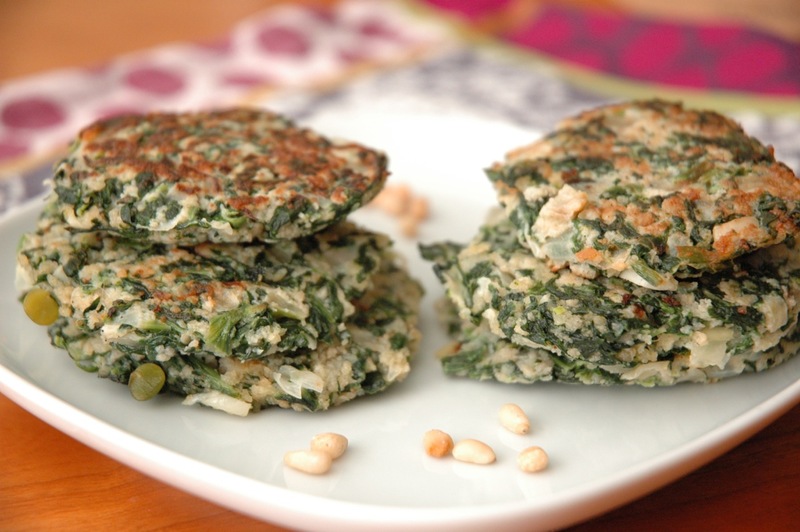 Add a tablespoon of fish sauce, a beaten egg and some thinly sliced snake beans or green beans and you’re ready to mix and shape them into little patties. I deep fry them in a wok, and drain and blot them on paper towels after they’re cooked. Serve these to your family warm, and I promise they’ll think you’re a culinary goddess. But don’t forget that dipping sauce. It comes in a glass bottle, often in the international section of grocery stores and at Trader Joe’s. Remove any skin and bone from the fish and roughly chop the flesh. 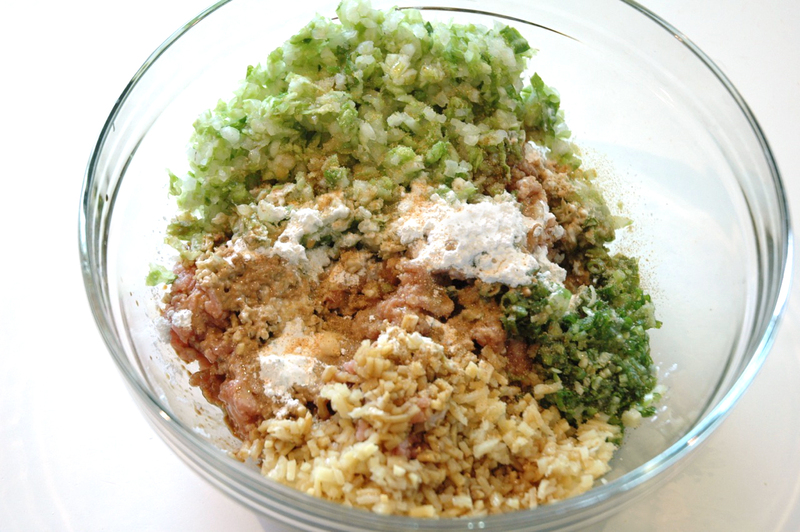 In a food processor or a blender, mince the fish fillets until smooth. Add the curry paste, fish sauce and egg, then blend briefly until until smooth. Spoon into a bowl and mix in the beans and kaffir lime leaves. Use wet hands to shape the fish paste into thin, fat cakes, about 5 cm (2 inches) across, using about a tablespoon of mixture of each. Heat 5 cm (2 inches) oil in a wok or deep frying pan over a medium heat. When the oil seems hot, drop a small piece of fish cake into it. If it sizzles immediately, the oil is ready. Lower five or six of the fish cakes into the oil and deep-fry them until they are golden brown on both sides and very puffy. Remove with a slotted spoon and drain on paper towels. Keep the cooked fish cakes warm while deep-frying the rest. Serve hot with sweet chili sauce. I have memories of my mom making these eggs for me when I could barely peer over the stove. It didn’t matter that I couldn’t see the hard-boiled eggs bubbling in the pot, because I could smell them. The aroma of anise, cinnamon, orange peel and black tea would waft through the house as the eggs simmered hour after hour. I’d be so excited when she turned off the heat, but I would have to continue to wait. And as you know, waiting is not a children’s game. 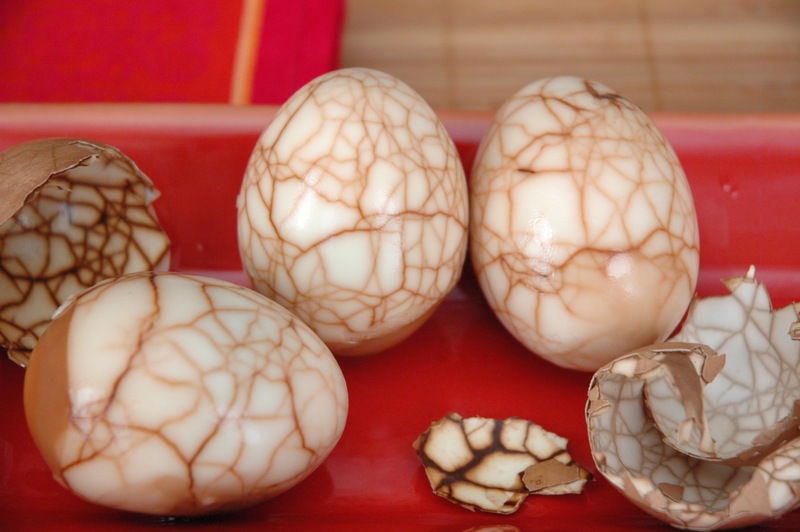 The eggs had to steep in the tea overnight, so the dark caramel color could penetrate the egg’s cracks and create a beautiful marbled effect. This takes coloring eggs to another level—and without the food coloring. Bonus: they’re incredibly easy to make. In the morning, I would be the first one down the stairs because I wanted dibs on the eggs. I’d examine all the tea-stained shells and find the one with the most cracks—but small, fine cracks, without large pieces of shell broken off. Those were usually the most beautiful inside. Then, I would carefully peel off the shell to reveal the art beneath. Egg after egg after egg, the anticipation never wore off. My brother and I would compare eggs, and like a typical boy he didn’t care that I had the prettier egg. But I did. I love that the kids love tea eggs, and not just because I have such fond memories of my mom making them. Eggs are high in choline, which is essential brain food for growing children. Plus, the high quality protein in the eggs keep them full longer, gives them more energy and makes them more alert. Sure beats a handful of crackers or Pirate Booty. Note: These do taste different from regular hard-boiled eggs, but it’s subtle. However, the fragrance of all the spices is pretty strong. When you bring that egg to your lips, you’ll get a nice whiff of anise, cinnamon and tea. Gently place the eggs in a medium pot and fill with water to cover the eggs by 1 inch. Bring the pot to a boil and let it simmer for 5 minutes. Remove the eggs, but leave the water in the pot. Cool the eggs under running water. Using the back of a small spoon, or the surface of a hard counter, tap the eggshell to create cracks all over. You want to tap hard enough to make the cracks, but not so hard that pieces of shell start to fall off. Add the remaining ingredients to the pot and bring to a boil. Lower heat and simmer for 10 minutes. Gently add the eggs back into the pot and simmer on low for three hours. Turn off the heat, and let the eggs steep in the tea overnight. Peel, admire beauty and eat. Happy New Year! One of the best things about Chinese New Year is that it’s a 15-day event, starting on the first day of the lunar calendar and commencing on the fifteenth. What a great excuse to celebrate and feast for two solid weeks! Much of Chinese New Year, which is the most important of the traditional Chinese holidays, is about sweeping away any lingering ill-fortune and making room for incoming good luck. And one of the most important ways to do that is with food. Yes, you heard me right—food. What does that tell you about Chinese culture? The Southerners have their black-eyed peas on New Year’s Day, and the Chinese have dumplings—among many, many other foods, such as fish, noodles, pork, duck, kumquats and sticky cake. Each symbolizes a different kind of good luck, whether it’s longevity, abundance, or progress in the coming year. In the case of dumplings, it’s wealth and prosperity, because they’re shaped like ancient Chinese money. So, if you want to be prosperous in the Year of the Dragon, you need to eat dumplings—lots of them. I think every Chinese family must have its own recipe for dumplings, so there’s not just one way to make the filling for a dumpling. Also, there’s nothing difficult about making dumplings; however, it is labor intensive because of all the wrapping. But if you’re going to make your own dumpling wrappers from scratch, well, then you’re on your own. When I was growing up, my mom used ground turkey to make it a little healthier. But since we almost always do the opposite of what our mothers do, I’ve gone back to the old-school method of using pork. Either is fine. First, you chop scallions, ginger, bamboo shoots, and napa cabbage into itty-bitty pieces. You can also add shitake mushrooms and cilantro. (On a side note: it took me years to realize that because napa cabbage retains so much moisture that I should salt them in a large bowl and then wring out all the moisture. This step keeps your filling from becoming soggy.) Then you mix it all into your ground meat, along with cornstarch, sesame oil, soy sauce, salt and white pepper and an egg or two. The best way to do this is with your hands. Yep, roll up your sleeves and sink those babies in. Then comes the tedious part: the wrapping. I usually make 100 at a time and freeze what I don’t cook that night. 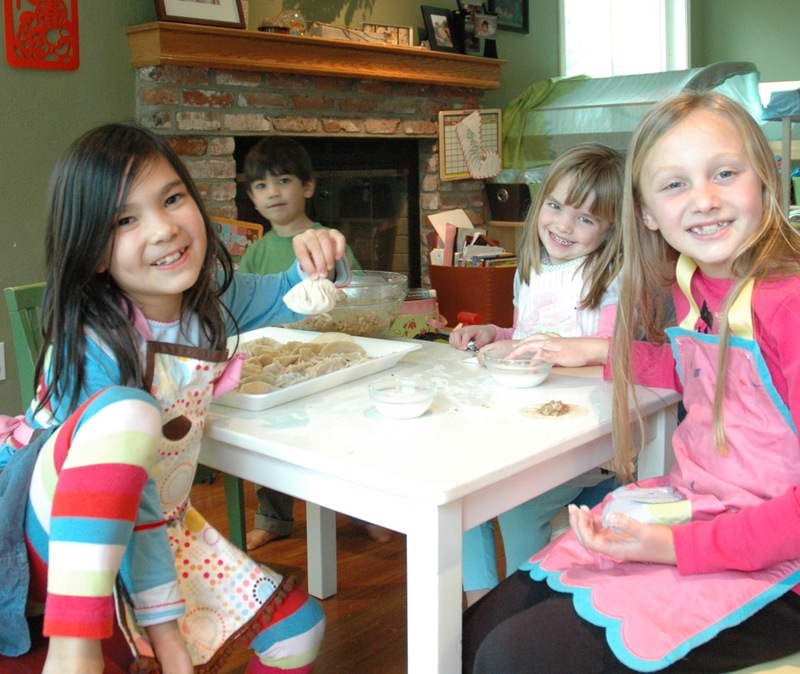 This year, I thought I’d throw a little dumpling-making party for S and her friends. In exchange for cultural awareness, I’m getting free labor. The girls had fun and after the first 15 minutes, we had a nice assembly line going. Even with all the help, it took well over an hour to wrap all the dumplings. The great thing about dumplings is that you can steam them, boil them or pan-fry them for potstickers. When you make such a big batch, you can do all three. Don’t forget to dunk them in some savory soy-ginger dipping sauce. One of my favorite ways to eat dumplings is in a bowl of noodle soup. And you know what? Instant ramen noodle is just fine. Simmer the dumplings with the noodles, add a leafy green and when it’s all cooked, sprinkle some scallions, cilantro and fried shallots over the top. 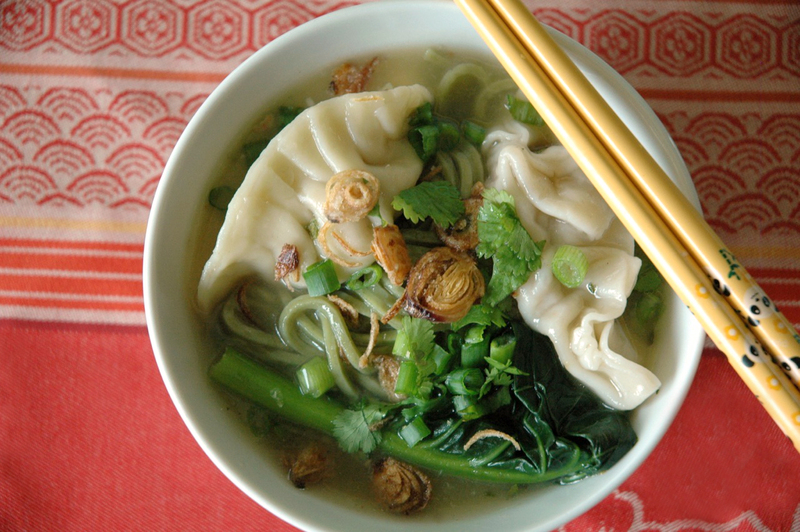 You’ll have a soul-warming bowl of dumpling noodle soup. Go eat some prosperity already. The Golden Age of Gluten-Free? My husband ate my blog post. Literally. There’s a fascinating, well-reported article in the New York Times this week entitled, “Should We All Go Gluten-Free?” and though it’s pretty lengthy, it’s worth a read. While my family does not maintain a gluten-free diet, I do try to limit everyone’s intake by opting for wheat alternatives like brown rice pasta and rice crackers. Last year, the kids and I went grain-free for six months, which of course eliminated all gluten. Did we feel better? Yes, to some extent. But it was hard to tell what the culprit was, because we were completely grain- and dairy-free. I considered going gluten-free again after we got home from Portugal because the kids’ eczema had gotten much worse. I couldn’t put my finger on it. While we were away we really didn’t eat that much dairy, which I do know incites C’s eczema. Even S’s eczema, which is usually well under control, was scaly, angry and fiery. The only thing I could come up with was bread. They served it for breakfast, lunch and dinner. Then, there were the croissants and myriad of pastries. Of course, my kids took every opportunity to indulge. How could I blame them? After all, European bread is something different altogether. It’s so much lighter and fluffier. Is it the result of flour with a significantly higher gluten content? I don’t know. But I do think the gluten is to blame for all the dry patches. The article in the New York Times talks about the growing prevalence of Celiac disease and gluten intolerance and how gigantic corporations, like General Mills, are responding to the need for more gluten-free products in mainstream grocery stores. Is gluten-free here to stay? It sure looks that way. 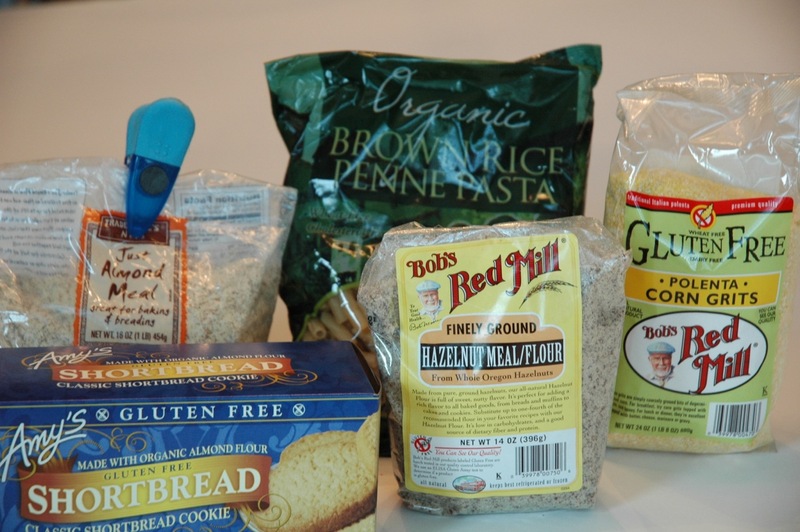 Are you or your family gluten-free? If so, why? If not, do you think it’s just another fad diet? Let me know.